According to research*, we Brits upload more than 17 million selfies every week, with 1 in 3 of us posting at least once a week. The same study found that 1 in 6 Brits aged over 55 regularly take a selfie – that’s more than young adults! Wow! Have we become a nation obsessed? Celebrity culture has been a major trend driver, of course. Kim Kardashian, the queen of the selfie, is regularly snapped snapping herself. Even her own mother calls her obsessed! 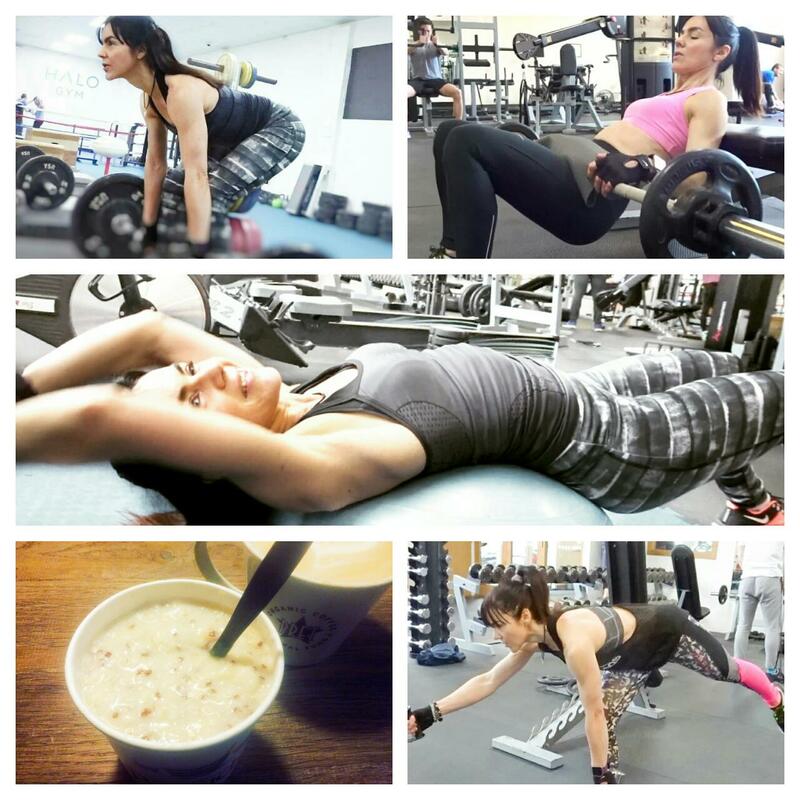 I’m not for one moment suggesting that we all aspire to be a Kardashian. Neither am I saying that the selfie phenomena is a bad thing – hey, it’s a bit of harmless fun, yes? But with so many celebrities posting selfies it’s a trend that was bound to catch on, sooner or later. It’s all music to the ears of the commercial sector, of course, eager to make a quick killing out of a trend. Enter ‘selfie app’ in Google’s search bar and it’ll bring up pages and pages of phone apps promising to help you create a selfie masterpiece. Pocket-lint.com has a useful list of the best iPhone selfie apps here. 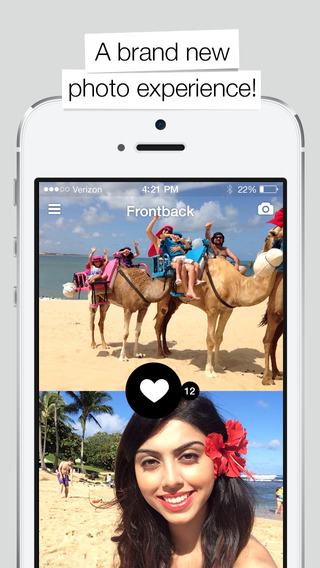 Some are free, such as Frontback (above) which enables you to use both front and back cameras to create a single image, ie one that shows both your expression and the subject you were looking at when the photo was taken. 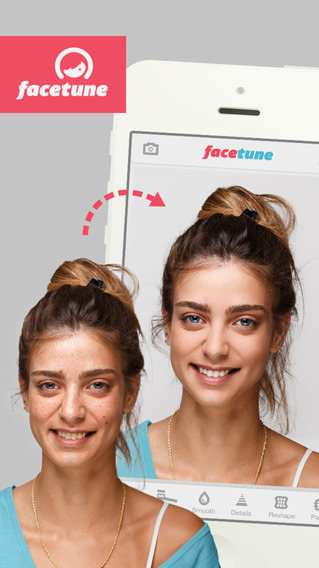 Then there’s Facetune, a £1.99 app that lets you erase unwelcome blemishes or spots on your skin. You can also use it to whiten your teeth in a selfie (or shot of someone else), even change your eye or hair colour. 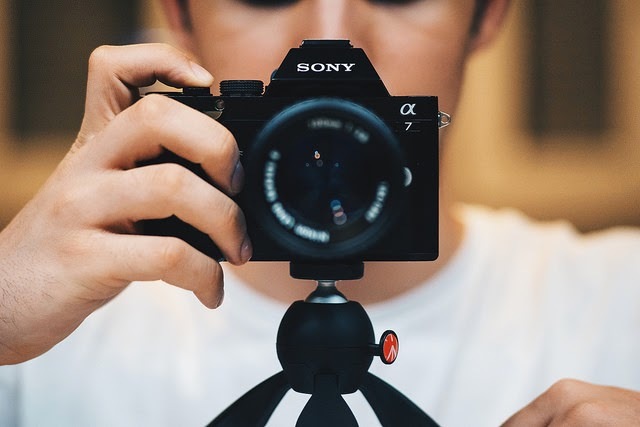 If you’re a non Apple household (like us), then the Droid Report has a similar list of the best Android selfie apps here. The tools available are not just confined to apps. There’s selfie hardware too. 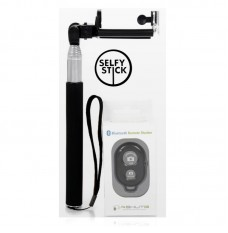 Like the just launched £14.95 Selfy Stick (above), an extendable rod with a Bluetooth shutter button “to make distance selfies and group shots a piece of cake”. More info here. 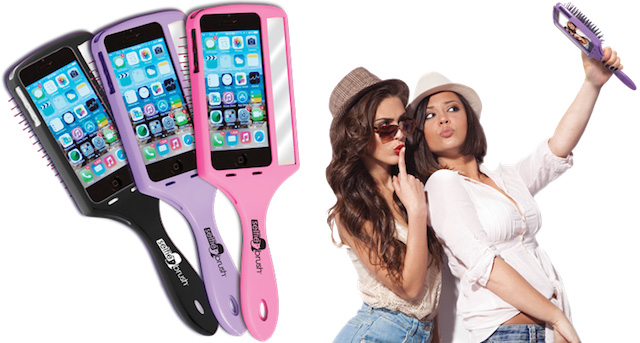 Then there’s the Selfie Brush (above). This has a paddle brush on one side and a phone case with mirror on the other. You prep your hair with the brush side, then switch the Selfie Brush around to check your look and take a snap. Priced at $19.99 (no UK pricing currently). Available for iPhone 5 and 5s, with more models to come. More info here. 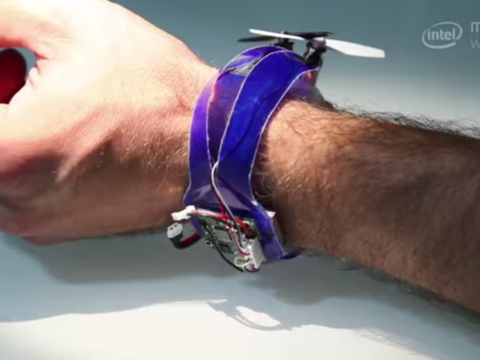 But the ultimate tool has surely got to be this – a wrist mounted drone with an onboard camera that springs in to the air in front of you to take the perfect selfie (above). Called Nixie it’s been developed by a researcher at Stanford University in the US. Don’t rush to the shops quite yet though, as the drone is still in prototype. More info here. So, own up, how many selfies do you take a week? I can honestly say I don't take any selfies. Personally they're not for me and it gets annoying seeing my Facebook riddled with people pouting in 10 million different ways lol! Before I had kids however, I was the selfie QUEEN! Oh how things change when you have kids! I try to keep it to one selfie a week, but now that I see all these gadgets exist I should up my game! :) Kidding, but I really am a bit surprised that people would buy gear for their selfies, software - ok, hardware - too much! Regarding derma rollers, I am glad that you like yours. Do they increase serum penetration by up to 40 times? Wow!